1 × = three Required Please enter the correct value. The Dow Jones Industrial Average was poised to end a six-week winning streak as investors are forced to follow the statements of an indecisive central bank. 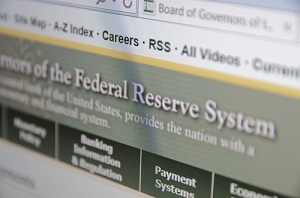 Members of the U.S. Federal Reserve remain mixed on the timing of the next interest rate hike. Markets will be closed tomorrow in observance of Good Friday, and unless something significant happens on the geopolitical front, expect volumes to remain low again today. And here's the top stock market news, stocks to watch, and economic calendar for Thursday, March 24, 2016. Futures for the Dow Jones Industrial Average slipped 78 points as traders awaited the release of manufacturing data and statements from St. Louis Federal Reserve President James Bullard, who speaks at an economics conference before the bell. During an interview on Wednesday, Bullard suggested the Federal Reserve may hike interest rates as soon as the April FOMC meeting. That's a reversal of his stance just a few weeks ago during an interview with CNBC. Here's a breakdown of why the Dow is dipping this morning. First up, a lot of news on the regulatory front. U.S. lawmakers are pushing the Department of Agriculture to offer insight on a national security review of the proposed $43 billion takeover of Syngenta AG (NYSE ADR: SYT) by China National Chemical. Meanwhile, regulators are trying to extend the lock-up period of Wall Street bonuses in order to deter "risk taking." Next month, a new report will weigh in on a long-delayed proposal dating back to the Dodd-Frank Act that would bring the lock-up period more in line with the European standard of 10 years and defer up to 50% of the total bonus. Currently, most companies delay portions of executive bonuses for three years in the United States. 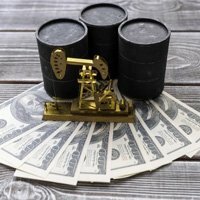 Oil prices slipped roughly 2% after the U.S. Energy Information Administration announced a massive rise in crude inventories. The EIA said domestic crude stocks increased by 9.4 million barrels. Total inventory now sits at a record 532.5 million barrels. WTI prices were off 2.1%, while Brent crude oil was off 2%. Merger mania won't slow down. Last night, U.S. regulators formally approved a deal between Pepco Holdings Inc. (NYSE: POM) and Exelon Corp. (NYSE: EXC) to create one of the largest utility companies in the nation. Shares of Pepco surged more than 26% on news of the decision. On the economic front, today's durable goods report and jobless claims will influence the morning trading session. While manufacturing activity has grown stronger – according to recent reports – economists are expecting a sharp decline in goods orders as inventory levels remain strong. On Wednesday, the Dow Jones erased its 2016 gains after falling 79 points. The index fell after energy and material stocks slipped due to a slump in oil prices. The big news this morning from The Wall Street Journal is a report that activist hedge fund Starboard Value is pushing to remove the entire board of directors at Yahoo! Inc. (Nasdaq: YHOO). The story cites a letter that indicates Starboard is preparing to nominate nine directors to the company's board of directors, as the hedge fund remains discontent with the turnaround effort under CEO Marissa Mayer. This would be the largest company to ever have its full board of directors replaced by an activist investor. However, after evaluating the letter to the company, the threat appears to be little more than additional pressure to force Yahoo to conduct a deal to sell its core Internet business and to boost shareholder value. Shares of Exxon Mobil Corp. (NYSE: XOM) were off 0.7% in pre-market trade after the U.S. Securities and Exchange Commission decided the global energy giant must include a resolution on climate change during its yearly shareholder meeting. The firm had argued it already provided adequate carbon disclosures. The announcement came hours after the Rockefeller Family Fund announced plans to divest its holdings in the multinational oil giant. The family charity plans to divest its oil, coal, and other carbon-based holdings due to concerns over climate change. Shares of KB Home (NYSE: KBH) rallied 4.7% on news that the company beat first-quarter earnings expectations and said its Q1 profits were boosted by a healthy backlog of new orders. On the earnings side, pay attention to quarterly performance reports from GameStop Corp. (NYSE: GME), Accenture Plc. (NYSE: ACN), and Finish Line Inc. (Nasdaq: FINL). Durable Goods Orders at 8:30 a.m. These Four Stocks Are the Next Group of "Profit Doublers"